Comio C2 Lite and Comio S1 Lite smartphones feature flash modules for their selfie cameras, with another highlight being the presence of a dedicated microSD card. Both smartphones – which are said to be youth-centric offerings targeted at tier 2 and tier 3 cities – will be available from offline stores in the country from Thursday itself. Both Comio smartphones will also ship with earphones, tempered glass, and a protection case bundled alongside. 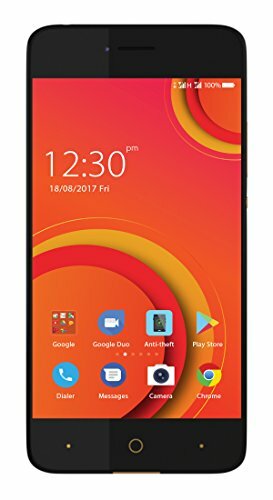 The Comio S1 Lite price in India has been set at Rs. 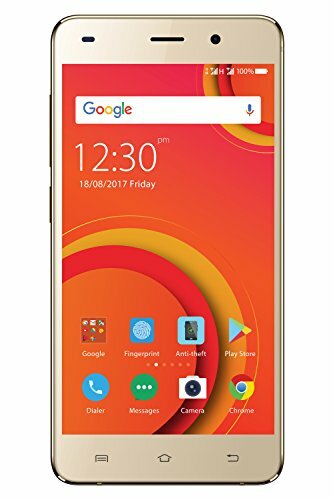 7,499, while the Comio C2 Lite price in India has been set at Rs. 5,999. Launch offers include a Rs. 2,200 cashback from Reliance Jio. Cashback vouchers of Rs. 50 each will be credited to the customer account and will be visible under ‘My Vouchers’ in MyJio app which can be redeemed, one at a time, against recharges of Rs. 198/ 299 plans. This cashback of Rs. 50 – for 44 months – totals Rs. 2,200 in cashback. The dual-SIM Comio C2 Lite runs Comio UI based on Android 7.0 Nougat, and sports a 5-inch HD (720×1280 pixels) IPS display with M Wall glass protection. It is powered by a 1.3GHz quad-core MediaTek MTK6737 SoC coupled with 1.5GB of RAM. The smartphone bears an 8-megapixel rear camera with a 4P lens, f/2.2 aperture, and a flash module. On the front, it bears a 5-megapixel camera with a 3P lens, f/2.2 aperture, and a flash module. The Comio C2 Lite comes with 16GB of inbuilt storage that’s expandable via microSD card (up to 128GB) with a dedicated slot. Connectivity options include 4G VoLTE, Wi-Fi 802.11 b/g/n, Bluetooth v4.0, GPS/ A-GPS, FM radio, Micro-USB, and a 3.5mm headphone jack. Sensors include an accelerometer, ambient light sensor, and proximity sensor. It is powered by a 3900mAh battery that’s rated to deliver up to 27 hours of talk time, and up to 350 hours of standby time. It measures 148.8×71.1×9.55mm, and will be available in Metallic Grey, Royal Black, and Sunrise Gold colour variants. The dual-SIM Comio S1 Lite runs Comio UI based on Android 7.0 Nougat, and sports a 5-inch HD (720×1280 pixels) IPS display with M Wall glass protection. It is powered by a 1.3GHz quad-core MediaTek MTK6737 SoC coupled with 2GB of RAM. The smartphone bears a 13-megapixel rear camera with a 5P lens, f/2.0 aperture, and dual-LED flash. On the front, it bears an 8-megapixel camera with a 4P lens, f/2.2 aperture, and a flash module.